"I swear it's a Scorpio thing, we hate being ignored for some reason or just being lonely...and no one will ever understand." Most people will talk about it but Scorpios will do it. 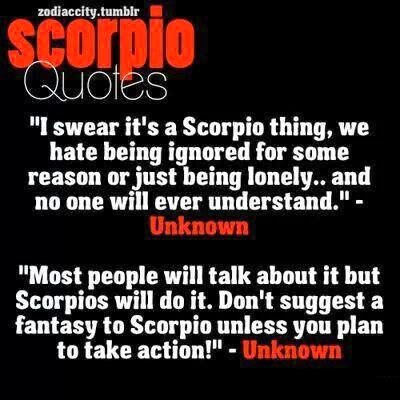 Don't suggest a fantasy to Scorpio unless you plan to take action!